You wait for one skidpan to come along and then two come at once. 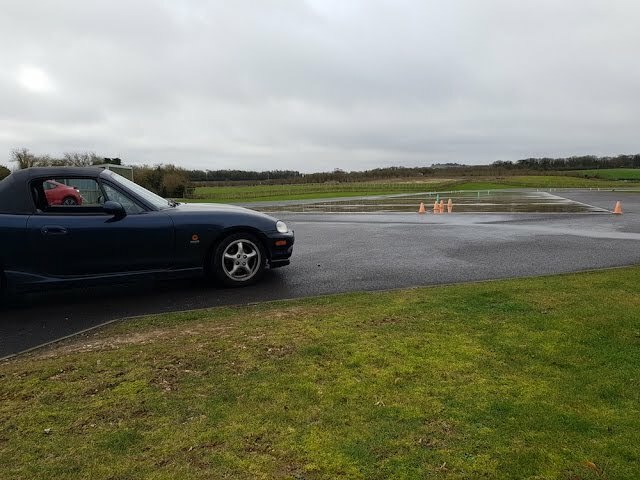 You may have already seen my other article where I took my very own Mazda MX-5 to Thruxton. Let me tell you now, that was bloody difficult! This time however, I was on a different surface in a different car – two different cars in fact. 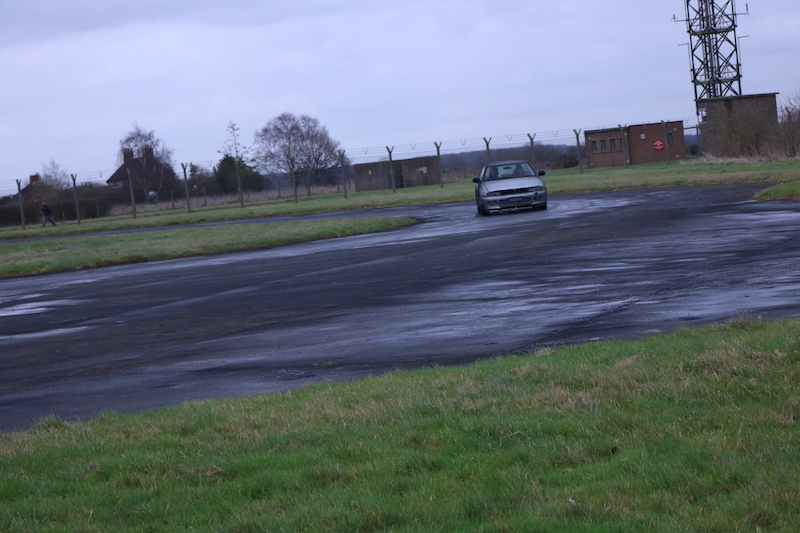 The venue for this experience was a skidpan managed by Explore 4×4 within RAF Honington. The surface was different and was made slippery by splashing generous amounts of used cooking oil. Instead of of the Mazda though, I got a go in a front wheel drive Mitsubishi Gallant and a rear wheel drive Mercedes C Class. As I set my camera equipment up I was treated to Adrian and John, the two advanced driving trainers, slithering about in the two cars on the oily surface. 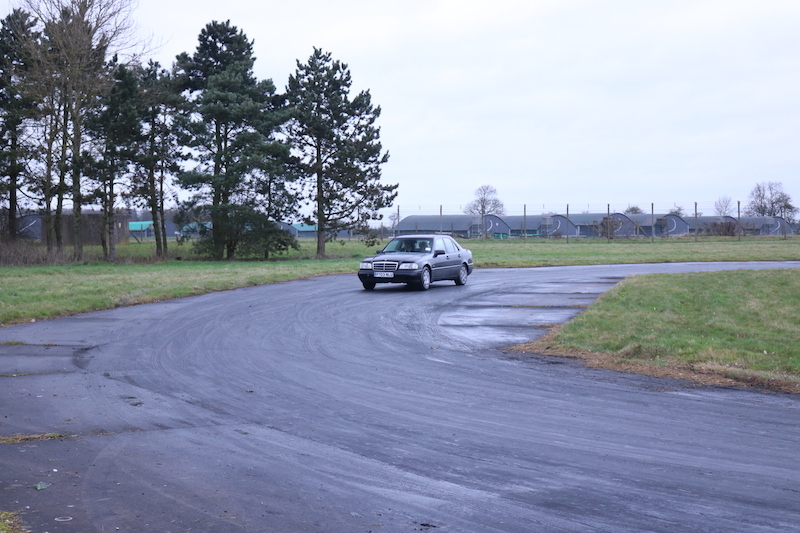 Adrian was in the Gallant whilst John was in the C Class, so he was doing most of the sliding. Once I was ready, I jumped in with Adrian in the Gallant and he gave me a demonstration of what it was all about. The Gallant was front wheel drive so as you can imagine when the grip went the car had dramatic understeer and veered forward, even with full lock. There were two ways to cure this – either come of the throttle and feel the grip come back or if all else fails, a dab on the handbrake. 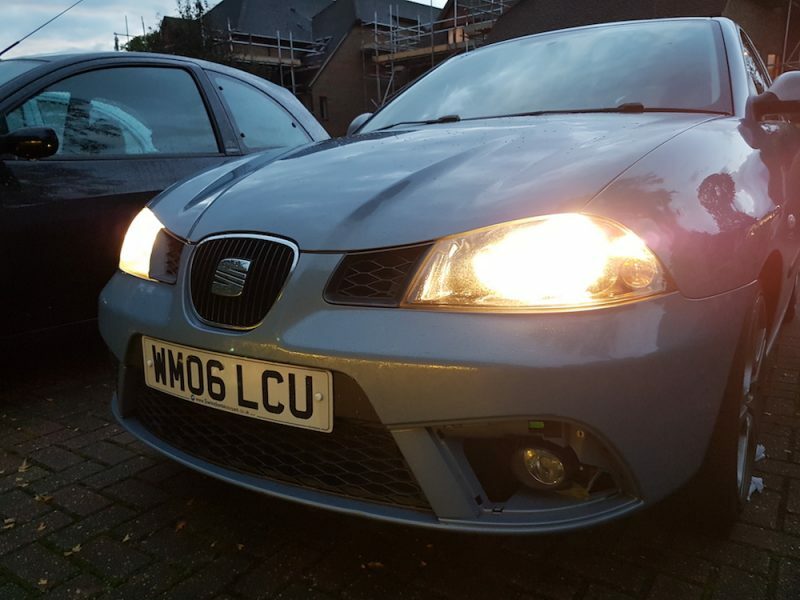 I think it doesn’t take a genius to work out which option brought more enjoyment, I mean who doesn’t like a handbrake turn. 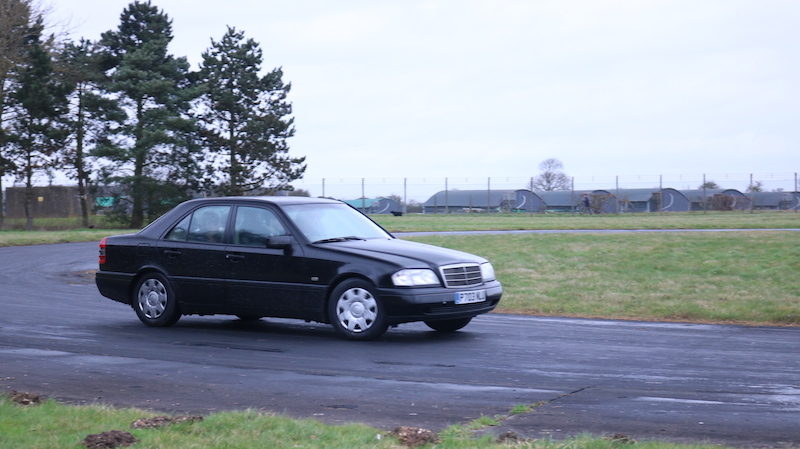 The handbrake was not needed in the C Class however, which is just as well as its parking brake was a bit…fiddly. 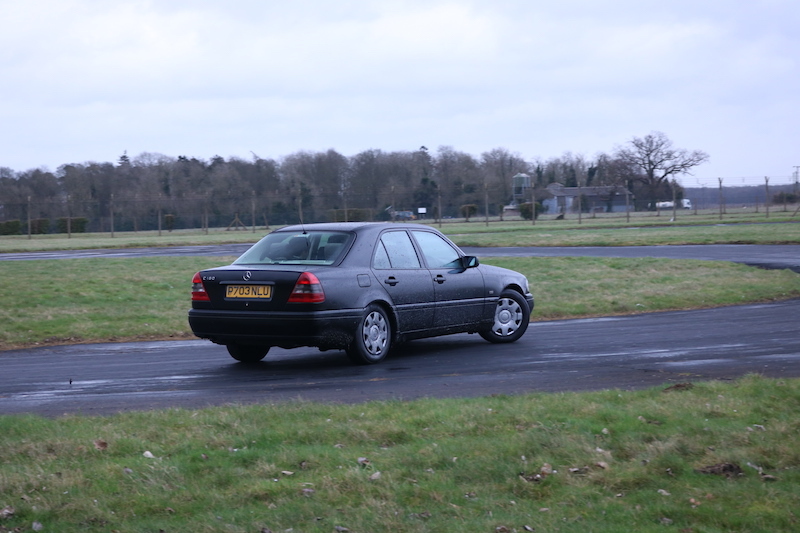 John gave a demo in the C Class before I had a go, a little apprehensive as he had made it look insanely easy. He was doing transition drifting, in a heavy C Class virtually fully laden with passengers. The C Class was certainly good fun! I climbed in to C Class and adjusted cream leather seat as I got used to the rather stiff throttle. I started off very cautiously, probably more cautiously then I needed to be, but I think that’s because I was afraid of spinning in front of an audience. The C Class though, was surprisingly predictable and I got more confident as I went on. In fact, one of the other participants of the experience called me “cocky” – cheeky so and so. Once we all had a feel for the C Class it was time for some friendly competition. We had to take part in a time trial to see who was the fastest. It was quite simple – we had to set from from a parking bay, complete a figure of eight, before reversing back in to the bay from which we had started. As I had GoPro cameras to attach to the car, I opted to go last as I didn’t want to take keep people waiting. 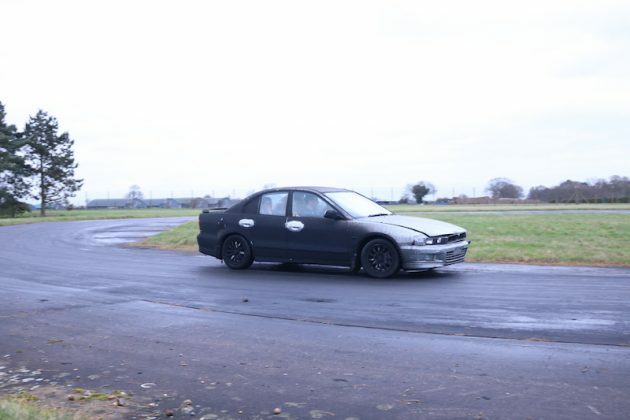 This proved to be a bit of a faff as the car had got quite oily and the GoPro attached to the outside of the driver’s door fell off before I had even started. I then popped that one on the inside of the passenger window before focussing on the task at hand. I wasn’t too bothered about winning (he says) as all I really wanted to do was to slide about. As I set off though, another GoPro fell off, which was gracefully saved by Adrian. I must admit, it felt like I got quite sideways, but after looking back at the footage I think I could have given it more of a bootful. Maybe I was afraid of more GoPros falling off! I put in a decent time of 1 minute 6 seconds but that was not enough to beat the winning 1 minute 5 second time. Bugger. Who cares though as it was a bit of lighthearted fun and that’s exactly what it was. 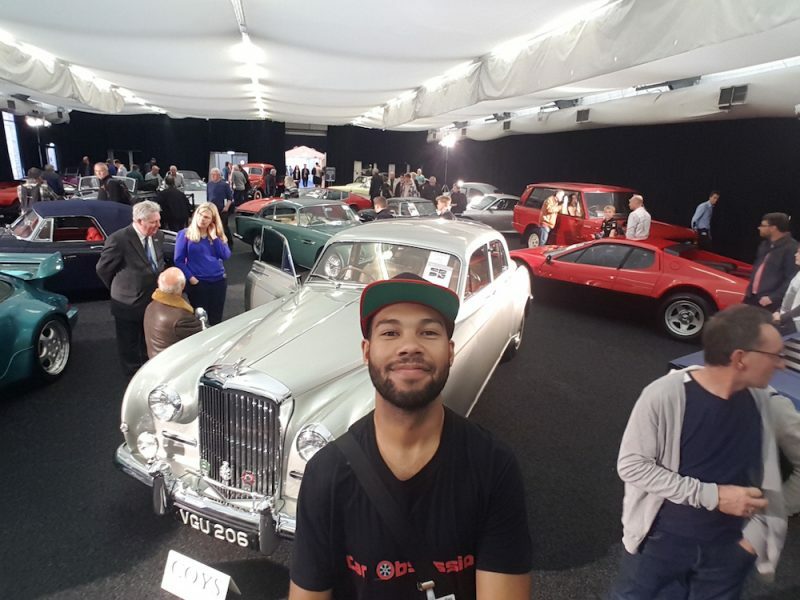 Overall it was a great experience and it was a good comparison to Thruxton. I’d like to thank Explore 4×4 for having me and the staff on the day were very friendly welcoming. 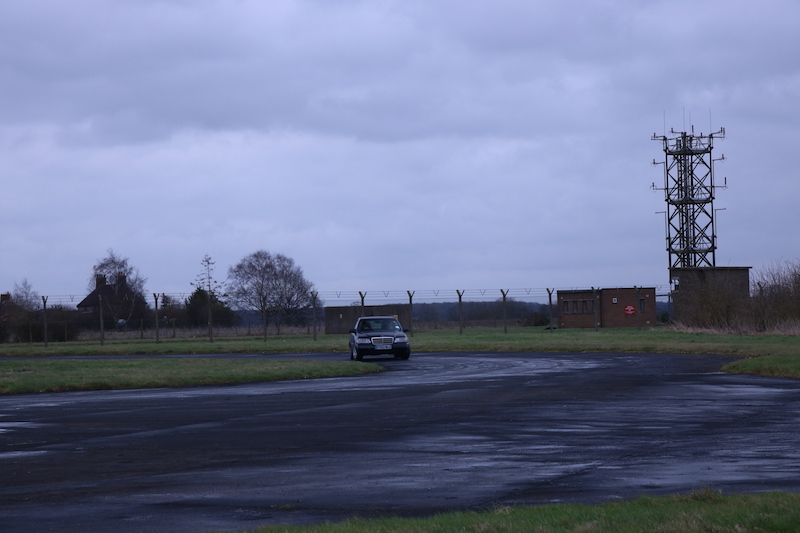 The Explore 4×4 then offered me a go on their off-road course – article for that coming soon. 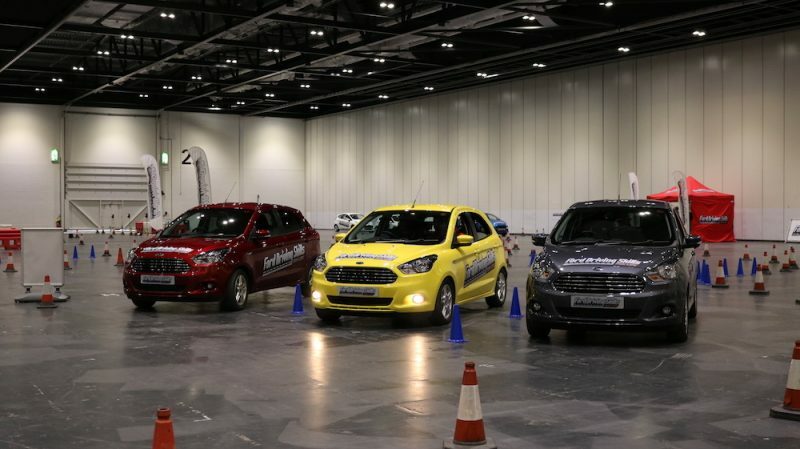 Explore 4×4 doesn’t just offer skidpan and off-road courses though. There is plenty they can offer you, so much so that it would take some time to write it all here. 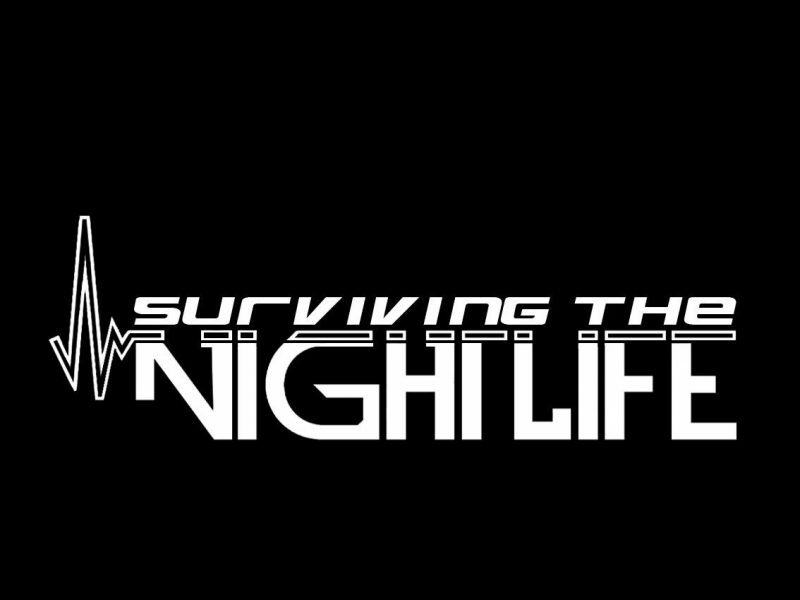 So, instead, head to the Explore 4×4 website for more details.